Charming two story colonial located on a private cul-de-sac street in this desirable Wayne neighborhood. 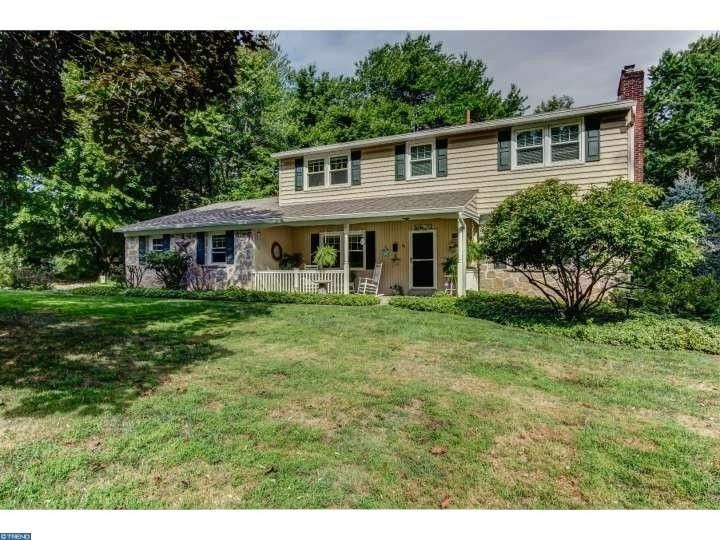 This lovely home is situated on a beautiful 3/4 acre level lot nestled among mature trees, plantings and beautiful gardens. The current owners have totally updated and lovingly maintained this wonderful family home. Exterior features include a charming covered front porch, new private maintenance free deck overlooking beautiful grounds, new windows and a newer roof. Interior highlights include a stunning new cherry kitchen with stainless steel appliances and granite countertops opening to charming Family Room with brick fireplace and built in bookcases, beautiful hardwood floors, large formal Living Room and Dining Room, new Powder Room, Master Suite with new bath and three family bedrooms served by hall bath and a finished lower level. This convenient location is within proximity to all major highways for commuting to center city or the airport, a short ride to the train and within minutes to the towns of Wayne, Devon, Berwyn, Paoli, King of Prussia for dining and shopping. Showings start Monday 09/19 at 11AM.